Weedon Bec Parish Council employs two litter pickers who patrol the village regularly. 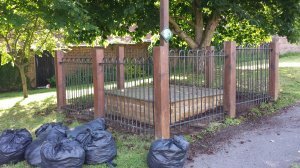 The Council is also responsible for litter picking the recreation areas and the common land/verges. The A5 is outside our remit to pick and is the responsibility of Highways England.